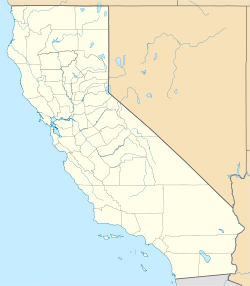 Cushenbury, California is an unincorporated place in San Bernardino County, California. It is located at the end of the Burlington Northern Santa Fe's Cushenbury Branch, and is 9 miles southeast of Lucerne Valley. The settlement is the site of a cement plant, opened by Kaiser Steel in 1957 and today run by the Mitsubishi Corporation. It lends its name to the Cushenbury milkvetch, the common name of Astragalus albens. ^ "Cushenbury". Geographic Names Information System. United States Geological Survey. Retrieved November 3, 2015.